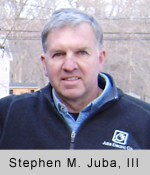 Juba Electric Co., Inc. is a third generation business located in North Andover, MA and established in 1923 by Stephen M. Juba. 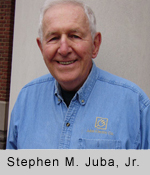 The next generation to run the company was, Stephen M. Juba, Jr. He not only continued what his father began, he built upon it hiring new staff and expanding the business into surrounding towns outside of Lawrence. Beloved by so many of his loyal customers, Steve still remains involved in the business today helping out his son whenever needed and providing wisdom and knowledge he acquired over the decades he ran the company. 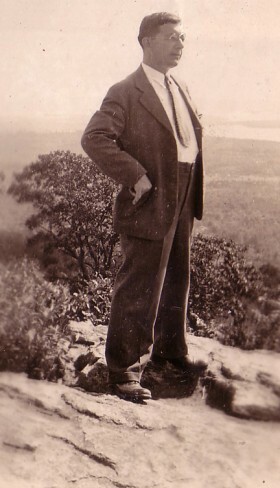 The current owner and president is Stephen M. Juba III. With a third generation electrical business serving the Merrimack Valley and Southern New Hampshire area for over 80 years, you know you are in most capable hands. We pride ourselves on our excellent customer service and quick response to our clients needs. When you call Juba Electric you are promised a return call within 24 hours. Our staff of experienced, licensed electricians is held to the high standards of service and professionalism that Steve demands. When one of our electricians services your home or business, you can be sure that you will receive timely and excellent service. Earning your trust is our highest priority — hundreds of repeat customers prove to us that we are doing an excellent job in that area. Steve received his journeyman’s license in 1979 and his Master’s License in 1981. He followed in his father’s footsteps and worked for Juba Electric from 1976 to the present and became its president in 2004. Steve’s dedication to his trade and customers is exemplified by the growth of the business over the past 35 years. He has built a solid reputation and lasting relationships with satisfied customers throughout the Merrimack Valley and Southern New Hampshire. Steve is a member of Massachusetts Electrical Contractors Association and Business Network International and TAHVA: The Andover Village at Home (connects seniors to services so they can remain in their homes). He holds Master Electrical Contractor Licenses in Massachusetts, New Hampshire and Maine. When you hire Juba Electric you can be assured of quality workmanship that is guaranteed. Your satisfaction is our number one priority.